So, you already know about Borderlands 2 and Borderlands: The Pre-Sequel coming to new-gen consoles. 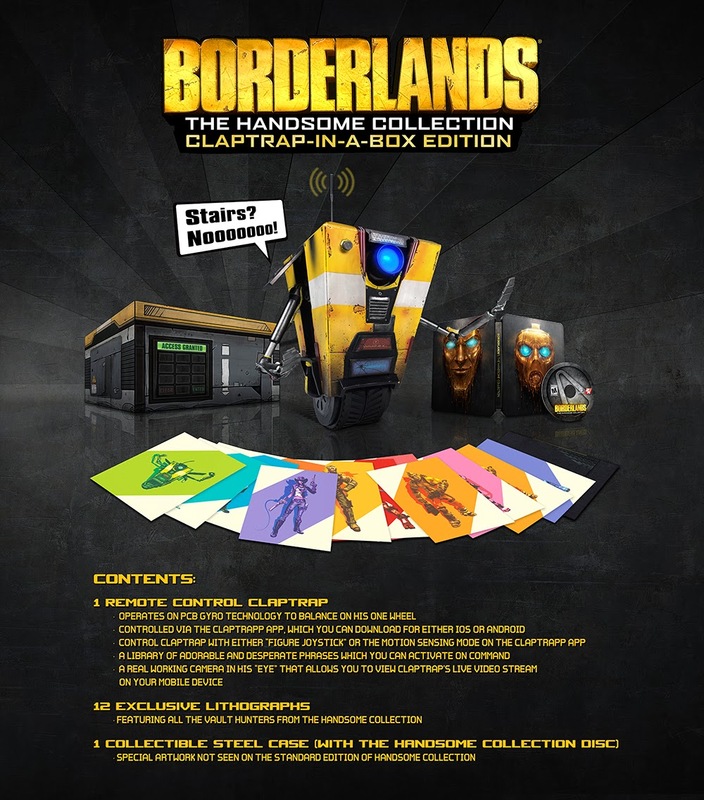 Then, you probably saw the news about the RC Claptrap in that Claptrap-in-a-box Collector's Edition.. Here's some footage of a prototype sample of the RC Claptrap.. Someone once told me, "Money can be earned.. Love cannot".